"Who are you and why does your bed look more comfortable than mine?" "I had to do some Internet search and reading to be able to understand how to [raise] a fawn … get up at night to feed her every four hours, and clean her after," Darius said. … until one night, when the deer spotted her mother and joined her family once again. Darius' job was complete as a wildlife rehabilitator. 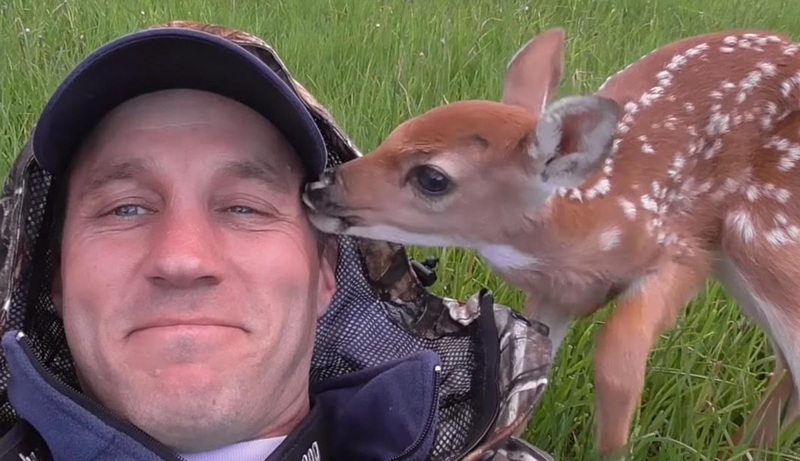 "Since day one I was hoping to release baby deer back to the wild," Darius said. Over the course of her two-week stay, the deer went unnamed — Darius wanted to avoid becoming too close to her, since he knew he'd have to let her go. It's a good feeling knowing that there are compassionate, thoughtful people like you.